We’re officially in October, and I thought it would be fun to share a favorite project that I made last year. 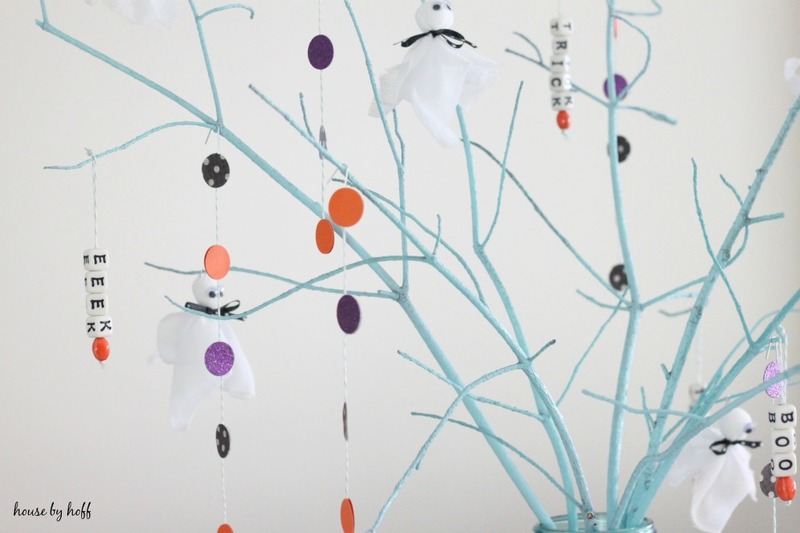 I wanted to make something Halloweeny and kid-friendly for Miss L’s room, and I settled on a cute ghostly tree. 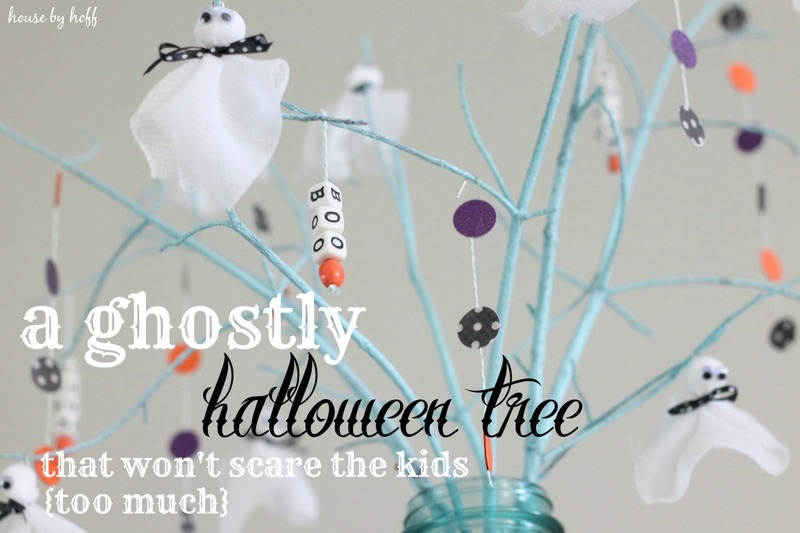 Making the little ghosts was so much fun! 1) First I cut a 3″ x 3″ square of gauze and placed a small craft pom pom in the center. 2) I wrapped the head of the ghost and secured it with a little bow. 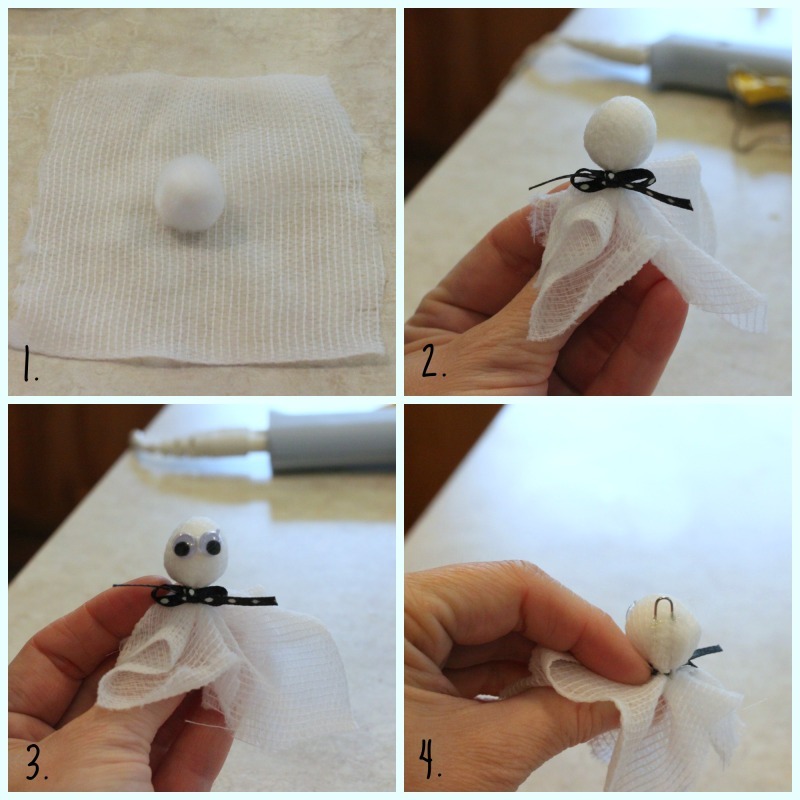 3) Next, I hot-glued googly eyes to the little ghost. 4) Finally, I just pushed half of a paper clip into the back of the ghost’s head. To ensure that it wouldn’t slide back out, I dabbed a little hot glue onto the ends. I simply strung some letter beads onto string to create the beaded words. 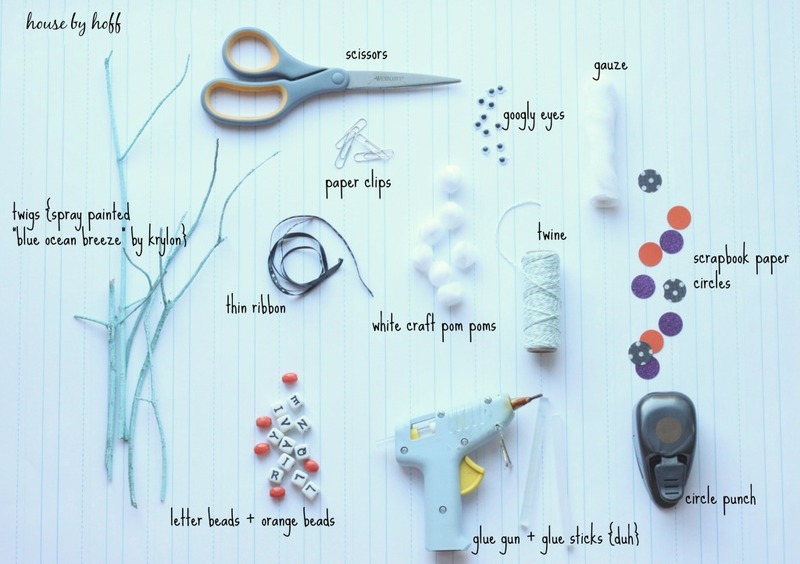 ***To see my tutorial for polka-dot garland, click here. 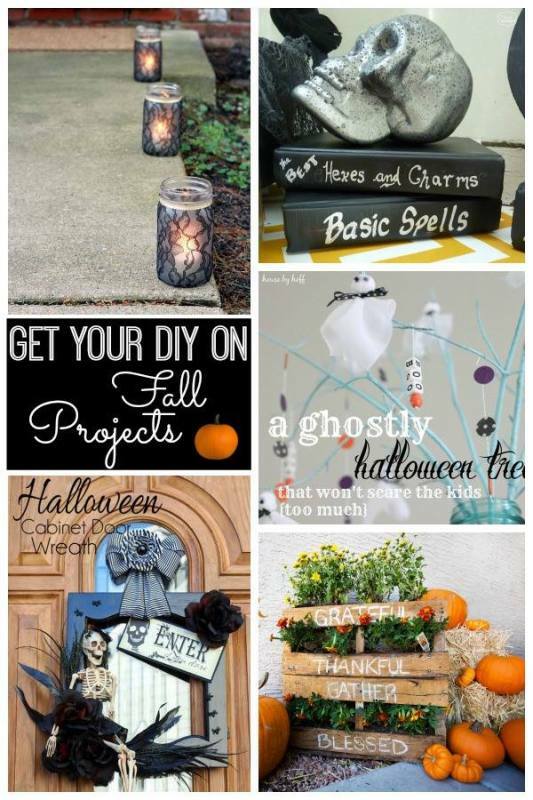 Don’t forget to join us this Sunday, October 5th at 7:00 PM EST to link up your fall projects! Okay, this has to be the cutest thing! 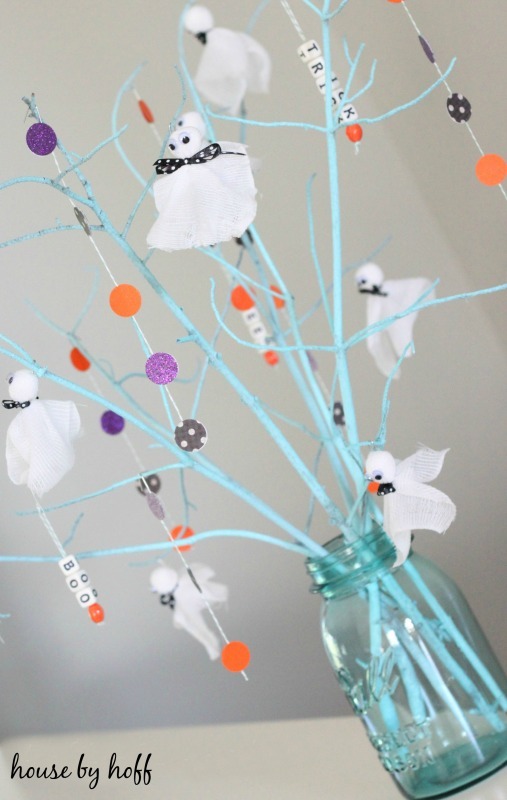 I love this kid-friendly twist on typical Halloween decor.